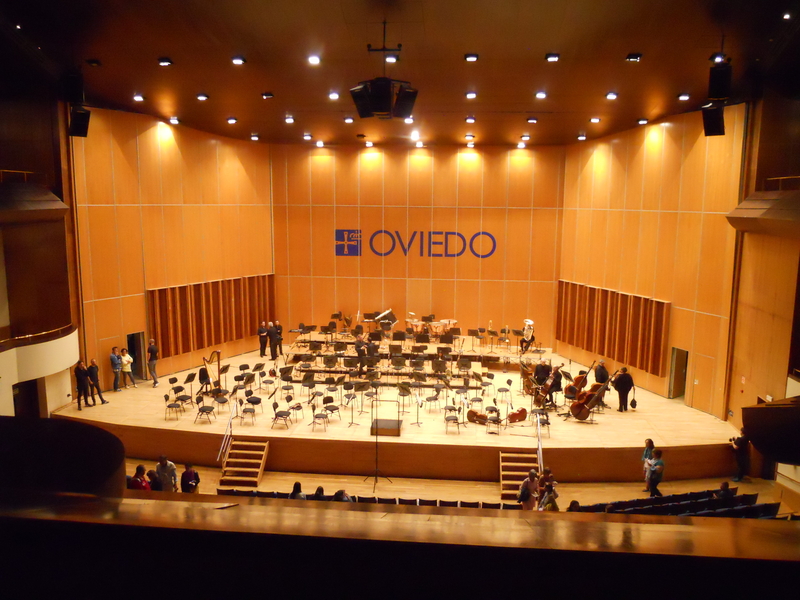 The ECM took place in Oviedo, which is a nice city in northwest Spain in a green and hilly region, 30 km away from the Atlantic Ocean. 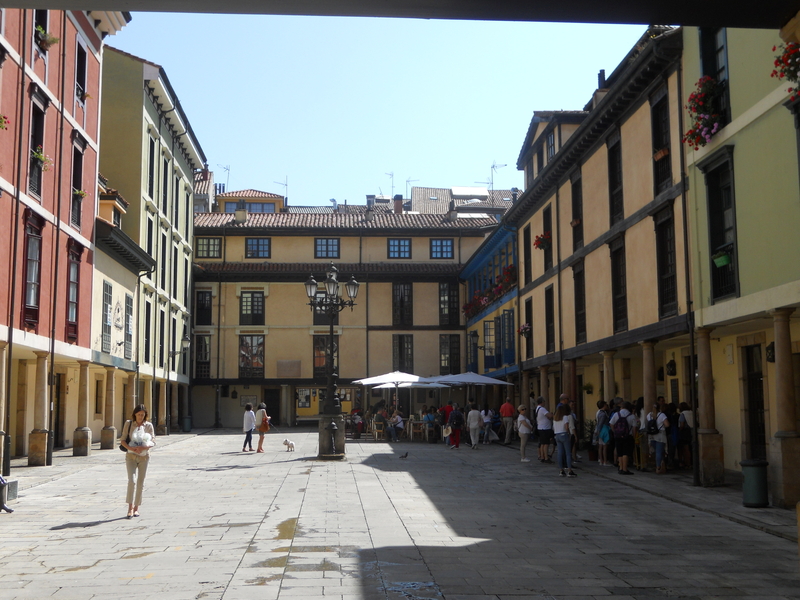 The city is famous as it is the capital of the former kingdom Asturias, the birthplace of Formula One driver Fernando Alonso and its typical speciality arroz con leche (rice pudding). The regional kitchen is full with excellent meat and fish dishes (which does not make it easy for vegetarians to find something to eat), and of course Sidra. Drinking Sidra has its own culture and rules here and new tourists easily get an aghast look, if they drink Sidra the wrong way. But enough with foods and drinks and back to crystallography! The location of the ECM31. The ECM started on the 22nd August with satellite meetings in the morning. 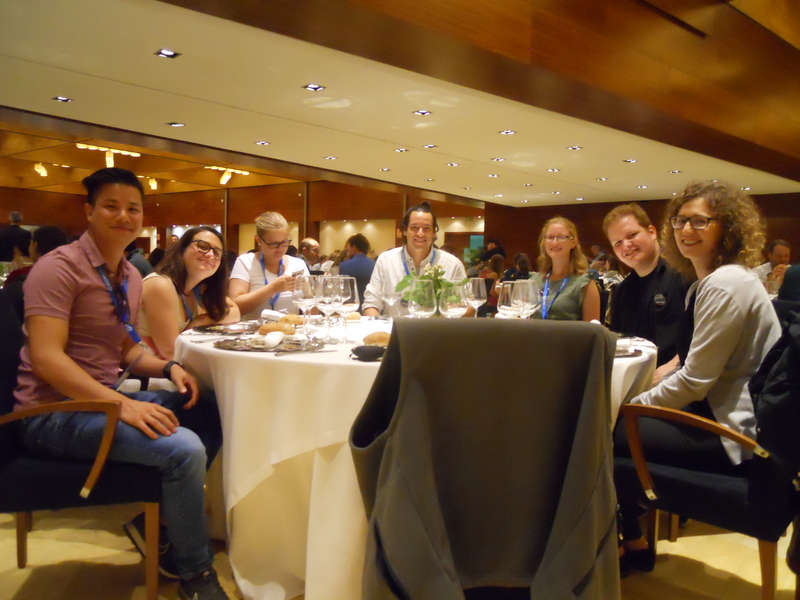 The European Young Crystallographers met for a first get together with interesting lectures. Afterwards, the conference started officially with the opening ceremony and warm welcome speeches by the IUCr and ECA presidents, the chair of the ECM as well as the mayor of Oviedo, the chair of the Spanish crystallographers and the Minister of Presidency of Asturias. The highlight was definitely the regional back pipe music. Sine Larsen was honoured with the Max Perutz Prize for her livelong achievements. The first day ended with the ‘Welcome Reception’ in the exhibition hall of the congress centre in a friendly atmosphere with drinks and Tapas (Spanish finger food). Four days of interesting plenary talks, keynotes, microsymposia and poster sessions followed. The conference had 600 contributions in total until the 27th August. In 48 microsymposia and 4 poster sessions, topics from different fields of crystallography have been presented and discussed. The program was very well scheduled and smaller problems were immediately solved with the typical spontaneity. For instance, if a lecture room was overcrowded, the staff conjured up instantly some more chairs. The German Crystallographic Society (DGK) was well represented on the ECM. Twelve German Young Crystallographers were present with four talks and eight poster contributions. Dr. Matthias Zschornak from the TU Bergakademie Freiberg, an “old” Young Crystallographer, was awarded with the Bertaut Prize for Young Scientists in the field of crystallography and neutron scattering. Christian Hirschle from Bochum won the poster prize for “Crystallography of Functional Materials” sponsored by STOE & Cie GmbH. Congratulations! Marius Kremer from Aachen has been elected as the new treasurer of the European Young Crystallographers and Philipp Hans from Vienna is now new Co-Chair. Furthermore, Marius and Khai-Nghi Truong will organize a Science Slam in Vienna. Servus next year in Vienna! After the ‘Welcome Reception’ on the first day, the ‘Young Crystallographer Mixers’ followed on the second day. 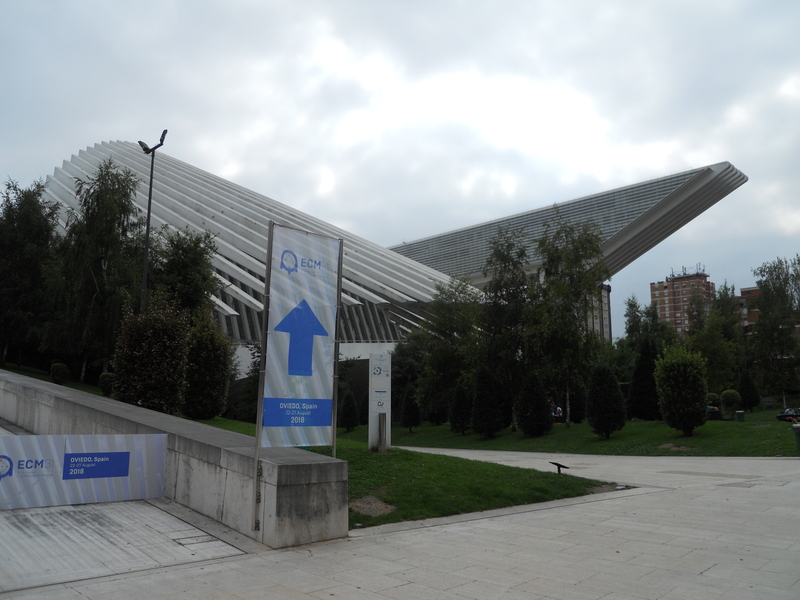 Young scientists from all over Europe met at the historical area of the university Oviedo. In cosy atmosphere with wine, beer and tapas, new contacts were made. As soon as the DJ began to play Spanish music, the local organizers started to dance salsa. All the others needed a little bit more time to get cosy and finally, everyone joined on the dancefloor. The third day ended with classical music from Tchaikovsky and other composers in the Príncipe Felipe Congress Hall-Auditorium. The conference dinner on Sunday took place at the four-star hotel Castillo Bosque de la Zoreda on the outskirts of Oviedo. Drinks and finger food were served outside at relaxed music played by a band. Followed up the welcome reception, a three-course menu with typical Spanish dishes was served. Animated by the Spanish colleagues, the evening ended on the dance floor again. Monday was the official conference excursion. Starting from the congress centre, it led us to Covadonga with its Neo-Romanesque basilica. Afterwards, we went to the Covadonga lakes where we had a beautiful view over the Picos de Europa Mountains and time for walking in the nature reserve. On the way back to Oviedo, we visited Ribadesella, a traditional fishing village. The ECM convinced me with a nice balance of social events and science at moderate weather. It was an exciting conference with interesting talks and good opportunities to get in touch with scientists from all parts of Europe. The atmosphere was warm-hearted and relaxed. Some keynote speakers even wore shorts during their lectures. The organisers impressed us with Spanish calmness, spontaneity and talent for improvisation. The advertisement for the region, the city, the university and the European Crystallographic Association was a great success!